Windows gets a user-friendly app store featuring categories, ratings, reviews and simple downloading options at the Avenue. Windows recently opened its new one-stop shop: The Avenue. The online app store serves to be the best option for users who wants to buy Windows applications and downloadable software in no time. The Avenue functions really well, it even features some categories so users can immediately find what they’re looking for. As of now, the store have categories for games, communication apps, reference tools, utilities, multimedia and entertainment apps. What’s really interesting in this app store is that Windows’ users can get the applications for free. Though it is expected that Avenue will be releasing paid apps in the future. 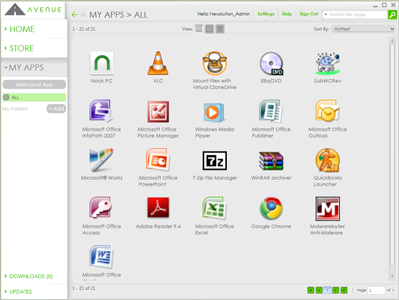 Downloading multiple applications from the Avenue Windows App Store is quite simple. All you have to do is search for the apps that you want using the categories, add them to your shopping cart, then download them.